Some more apps have been updated for iPhone X, with some notable ones including Google Play Music for iOS. 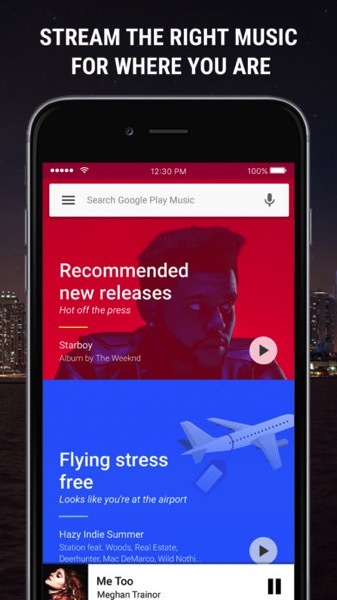 Google Play Music is the search engine’s streaming music service available in Canada and beyond. The iOS update’s release notes only mention “Bug fixes”, but after installing today’s update, it does indeed support the 5.8-inch display on iPhone X. Booya. Google continues to update their suite of iOS apps, slowly but surely. Recently we saw major apps like Gmail and Google Maps finally get an iPhone X update. Other updates for iPhone include Canadian weather app Metéo and BenchApp, while Esso Speedpass+ says it now supports Face ID on iPhone X while logging in (after launching Touch ID support two weeks ago). What apps are you still waiting for to get iPhone X updates?